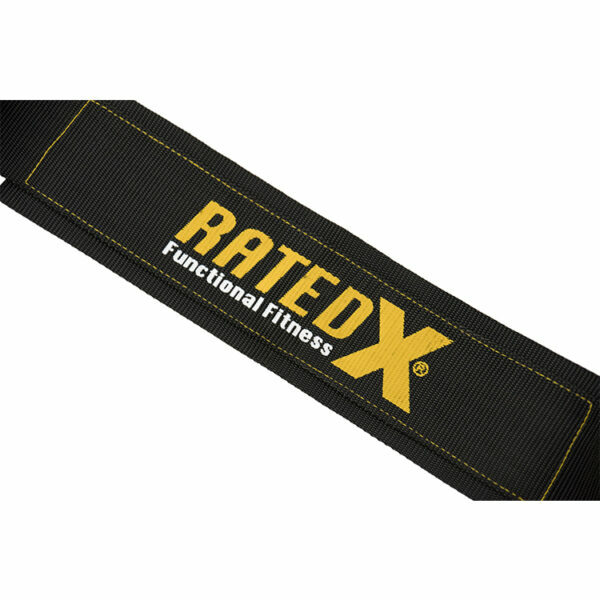 Dip Belt DIPX-Y by RATED®. 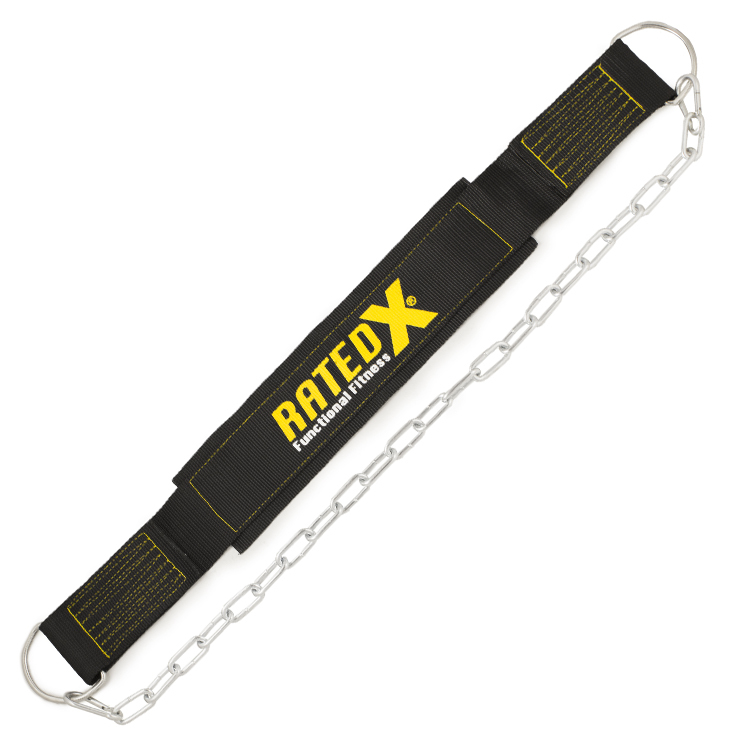 The DIPX RATED® dip belt is constructed from commercial grade nylon webbing, heavy-duty saddle stitching and a 76cm long chain with 6mm thick links and carabineers. 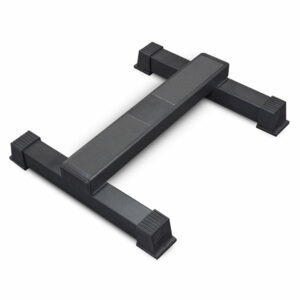 The heavy-duty nylon webbing is 2mm thick with 2mm long saddle stitching. 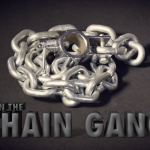 Each chain link is 30mm long and 6mm thick. 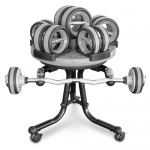 The ends of the two metal D-rings are welded together to prevent separation under pressure. 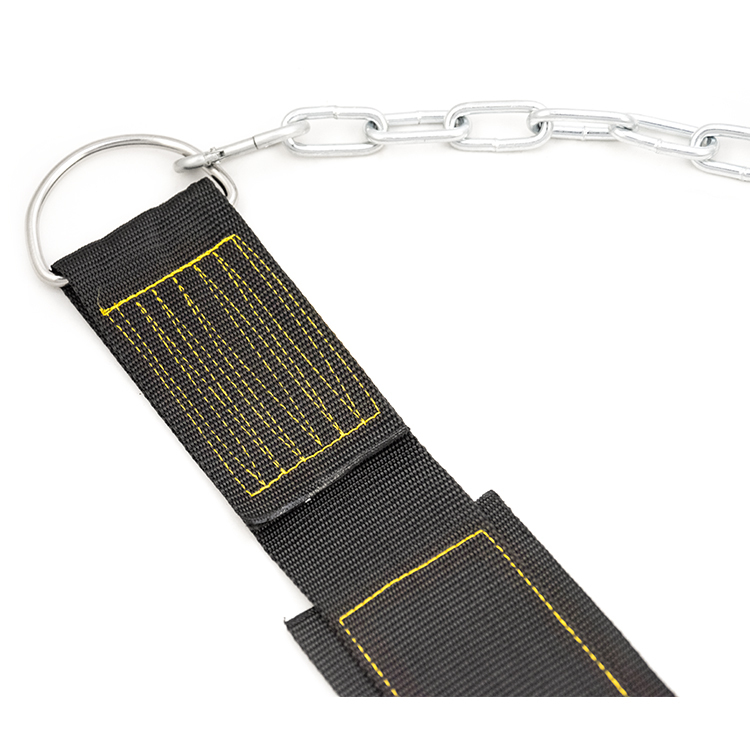 The D-rings are 5mm thick and attached to the nylon belt with multiple lines of saddle stitching. The shape of the belt is designed to give maximum comfort with a 75mm wide main nylon belt and the 100mm wide re-enforced back section. 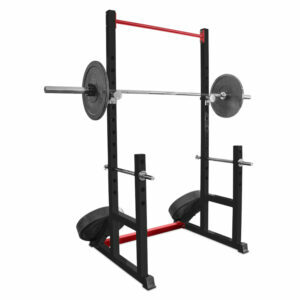 The RATED® DIPX dip belt is constructed to handle BIG weights and designed to fit the waist and not dig into the thighs. 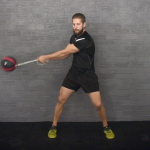 If you’re after a simple but very effective way of adding resistance to exercises such as dips, chin-ups and pull-ups the dip belt is ideal. 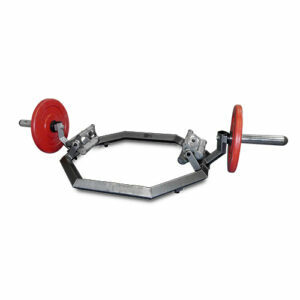 Dipping with weight is a great way to further build upper body strength and mass. Simply position the belt around your waist put one end of the chain through the weight plate and then refastens the carabineer to the belt, the rest is up to you. One size fits all. The dip belt is available in three colour combinations of Black with White print, Black with Red print and Black with Yellow print. Dip Belt DIPX-Y specifications at a glance. Black nylon with White stitching. Please! 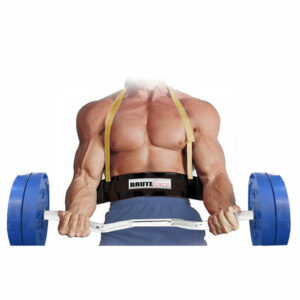 don’t miss out on this dip belt contact us on 1300 47 48 49 or info@renouffitness.com.au for more information on this great item or you can purchase it now online.